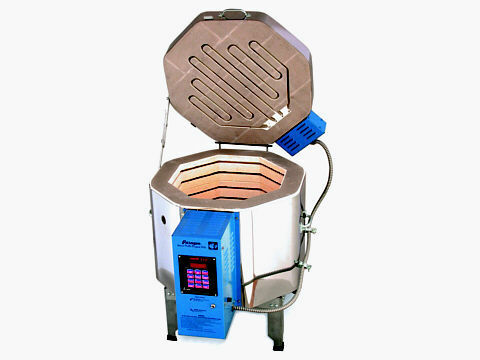 Kiln Accessories, Precision Tools, And Safety Equipment. If you work at home, or in a craft centre, engineering workshop, jewellery studio, repair shop, or technical facilty, you'll need a range of professional-quality precision tools. To list just a few: acrylic and rubber work sheets and blocks, knives, clay shapers, pliers, cutters, mandrels, ring guages, triblets, kilns, kiln shelves, timers, pyrometers, electric drills, pin vices, files, scribers, brushes, texture sheets, abrasives, burnishers, rotary tumblers, magnetic polishers, shot, grit, glues, and safety equipment. All the tools have been chosen for their engineering excellence and clean functionality, to help you manage a creative, productive, and efficient work environment. And you'll enjoy using good tools rather than continually improvising. To learn more, use the links below the menu bar near the top of the page. Then, for prices, use the shop link, top right on every page. Whichever material you're working with, the final stages are vital if you want to achieve a high-quality finish. 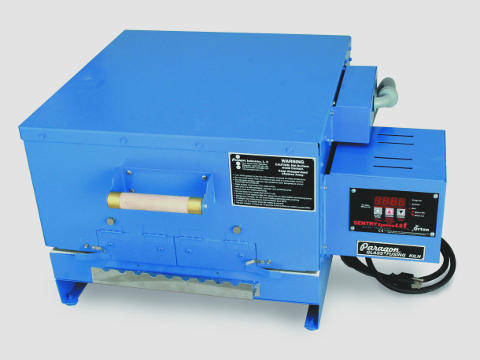 Typically, you would use fine abrasive paper, brass brushes, fibreglass brushes, scratch pads, burnishers, polishes and polishing cloths, and engravers. To look at some of the finishing accessories and tools, scroll down and make a few notes. When you've finished, and looked at the other sections, use the main-menu link to return to the other pages. 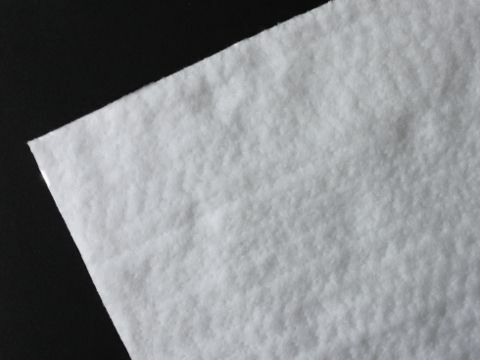 ABRASIVE WET+DRY PAPERS UP TO SCRATCH? 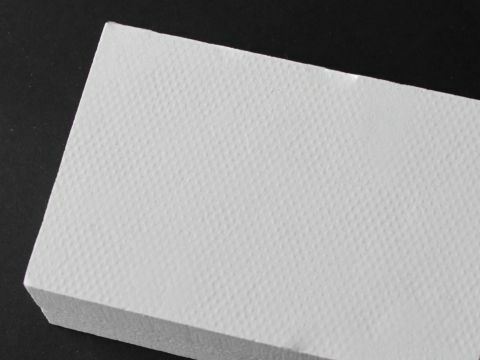 Most abrasive wet+dry papers consist of aluminium oxide or silicon carbide grit bonded to water-resistant paper. The abrasiveness is measured by the size of the particles, or grit, measured in microns, usually determined by the mesh size used in manufacture. A selection of grades, such as 600, 1000, and 1200 allow you to shape, clean up, and semi-polish surfaces. Until you know how effective they are, start with 1200, to minimise the risk of scratches. In the on-line shop, we sell a set of three wet+dry papers: each one 227mm x 138mm. They're cut from industrial sheets on a heavy-duty guillotine. Abrasive wet+dry paper doesn't tear very well and, if you cut it, it will soon blunt your scissors or modelling knife: so use something old. All particulates represent a health risk if they're breathed in, so it's important to wear a HEPA mask when sanding materials. And never blow any dust as some will inevitably go in your eyes. 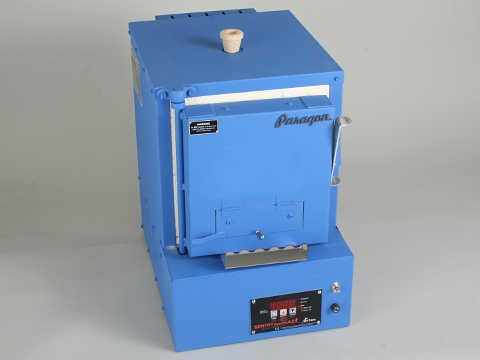 When metal clays, such as Art Clay and PMC, have been dried, but not fired, don't wet the paper as it softens the clay and pulls up the surface. For fired metal clays, soak the paper for 10 minutes before starting: it'll last longer and give a better finish when it's wet. It's not easy to find fine and very fine wet+dry papers in the high street. Whilst researching, I bought one of those special offer packs: 10 sheets for £2. Some of them weren't graded, many were too coarse for fine metal, and they all fell apart when wet. However, the worst thing was that the grit came off and got everywhere, contaminating the work area, abrasive papers, and polishing cloths. Decorators' sandpaper is made from glass particles: all the grades, 16 to 200, are far too coarse and will leave deep scratches. Garnet paper is generally used in woodworking. Aluminium oxide and silicon carbide grits are used in tumblers. Oilstones and waterstones would only be appropriate for a flat mirror-finish or a sharp edge. Art Clay, after firing, is matte-white, but the powdery coating is easily brushed off to reveal bright metal. Depending on the shape, you can use an abrasive cloth, a flass-fibre brush, or a wire brush. Afterwards, use a soft brush to make sure that no grit particles are left on your work before starting the next phase. It can be washed in luke-warm detergent, rinsed, and dried. Abrasive cloth is good for cleaning up rings or other smooth shapes as it just folds around the contours. However, it won't get into corners or recesses. At Kitiki, we use and sell a set of sheet abrasives, including fine abrasive cloths, ready-cut to a handy 100mm x 120mm. They're cut from industrial sheets on a heavy-duty guillotine. Abrasive cloths don't tear and, if you cut them, they'll soon blunt your scissors or modelling knife. Art Clay, after firing, is matte-white, but the powdery coating is easily brushed off to reveal bright metal. Depending on the shape, you can use an abrasive cloth, a flass-fibre brush, or a wire brush. Afterwards, use a soft brush to make sure that no grit particles are left on your work before starting the next phase. A glass-fibre brush is made from abrasive-grade fibres. It's harder than a brass brush and, because of its shape, better for fragile or highly-shaped pieces. It'll get into corners or recesses. At Kitiki, we use and sell glass fibre brushes. Turning the handle pushes the glass fibres out. Retract them after use so you don't accidently scratch any polished work. A brass brush is softer than a steel brush, so better for fragile or highly-shaped pieces. However, it won't get into corners or recesses. Although some people use a steel brush, steel is a lot harder than silver and you may end up with scratches that are hard ro remove. At Kitiki, we use and sell brass-wire brushes. brass wire brush. Put it away after use so you don't accidently scratch any polished work. All particulates represent a health risk, however minor. 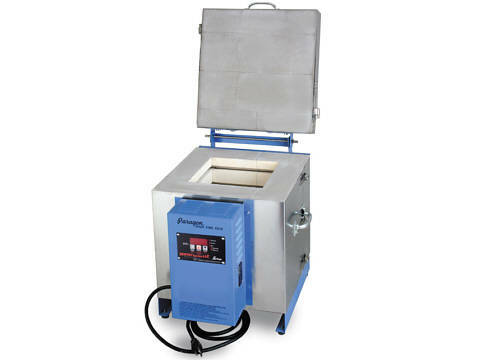 It's important to wear a HEPA mask when cleaning out your kiln, mixing or using powders, handling charcoals, and drilling, filing, and sanding metal and glass clays, especially at a course venue. And, ideally, use protective eyewear. 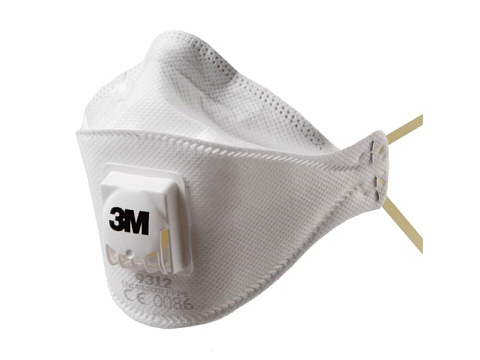 The 3M Advanced Electret Mask is a professional three-panel valved design which combines mechanical and electrostatic fibres: it's not just a piece of cloth on elastic. A unique one-way valve makes it easier to breath out, so the mask feels cooler and drier. It uses thinner material that that used in most respirators, so the mask shape feels soft and secure. They're individually wrapped to keep them clean, and use no natural rubber compounds. You probably use abrasives, some drills, an engraver, a grinder, a set of files, a hammer, polishes, a few wire brushes, and other small hand tools. 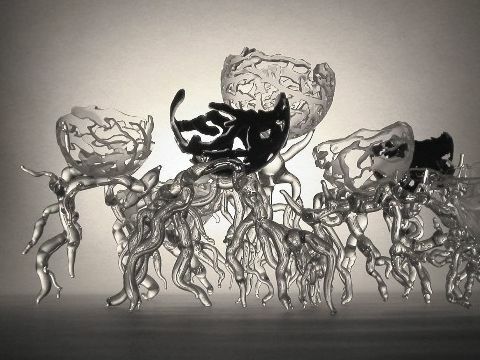 This is just the time that a tiny glass or metal fragment will get in your eyes. And, although it's unlikely, some materials could flare up or explode, so wear safety glasses when you open the lid or the door: you've only got one pair of eyes. 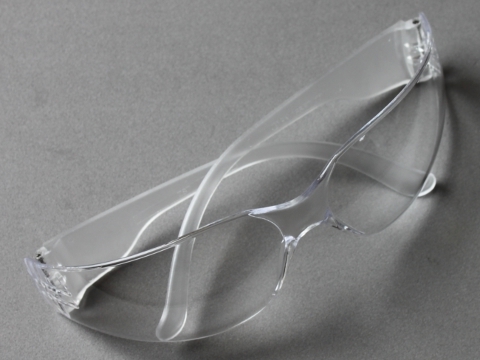 The protective glasses have clear lenses, will fit over prescription glasses, and can be cleaned with warm soapy water. They conform to the ANSI Z87.1-2003 standard which defines the design, construction, testing, and use of eye protection devices, including impact and penetration resistance. Although they're made from impact-resistant polycarbonate plastic, they're not unbreakable and the lenses are not scratch proof: so look after them. Always use soft lint-free clothes for cleaning, drying, and polishing. For each task, use a new one, so that you don't polish with one that's previously picked up grit or filings. Domestic cleaning cloths shed fibres which will get into your clay. The Kitiki lint-free cloths are in a pack of 100, and measure 80mm x 80mm. At The Kitiki Studio we use aluminium oxide paste to polish metals, such as aluminium, brass, bronze, chrome, copper, gold, tin, silver, and stainless steel: not anodised or coated metals. It leaves a water-repellent protective film on the metal. The polish can be used on a polishing cloth, and finished off with a separate cloth. In use, the minute particles fracture into smaller angular particles which lead to a highly polished surface. Don't use domestic polishes as they're too coarse. The polish is water-based, so can be rinsed off with warm water and a little detergent. Always wash your hands afterwards, as tiny abrasive particles left on your skin might mark the surface. Also, repeated contact with most chemicals can dry your skin. Polishing is done with a little polish on a cloth. In The Kitiki Studio, we use 170mm x 138mm mixed-fibre cloths. They're machine washable, but we usually rinse them out in warm water with some washing-up liquid. Unlike some polishing cloths, they don't go hard after washing. Silver and gold are fairly soft metals that can be shaped, smoothed, and polished easily with abrasive papers, abrasive cloths, wire brushes, and polishing compounds. However, rubbing the surface with a burnisher compresses, smoothes, and shines it in a way that normal polishing doesn't. You need to be careful to you use the edge of the tip, until you feel confident: using the point may scrath your work. It seemed impossible to buy a burnisher in the high street. The Kitiki burnishers are imported from Japan: although they're hardened metal they need polishing to keep them at their best. Immersing the finished silver piece in liver of sulphur produces a range of colours: gold to amber to blue to magenta to black, depending on the dilution, the temperature, and the time. Liver of sulphur, chemically potassium sulphide, has a strong smell and is poisonous. The Dremel Engraver is ideal for decorative or inscription work on ceramics, glass, metal, plastic, stone, and wood, and for security-marking tools and equipment. The Dremel Engraver has a soft-grip body for extra comfort and control during extended precision use. The CE-marked high-speed motor delivers up to 6000 strokes per minute and the rotary dial sets five engraving depth positions, from fine lines to deep grooves. There's a separate on-off switch. The Dremel Engraver comes with a replaceable 9924 carbide point and a letter and number template to get you started. 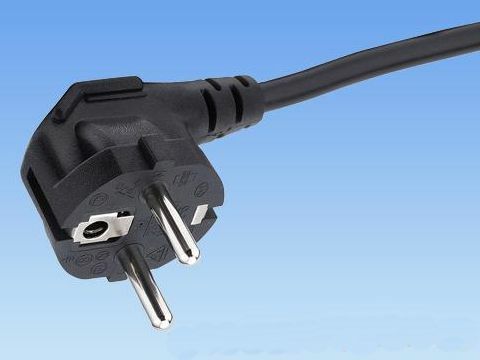 It's rated at 230V 0.20A, has a 1.60m cable, measures 190mm x 48mm x 42mm, and weighs just 300gm. There are lots of things to engrave, for example: jewellery, watches, keepsakes, gifts, dog tags, tools, and equipment. A small engraved security mark identifies anything after theft, especially as it's almost impossible to remove or disguise and, unlike a label, can't be picked off. It's a reciprocating engraver, which means that the tip moves up and down. 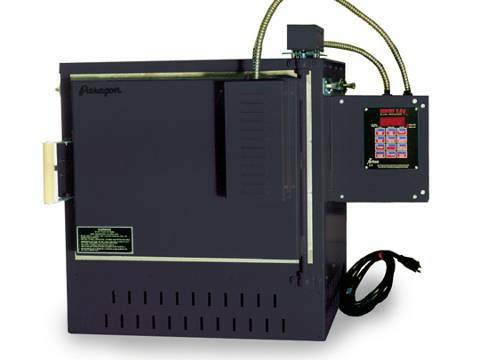 A conventional rotary engraver uses high-speed circular movement, which is harder to control and can skid off the surface and leave an unwanted mark. Take care opening the retail packing as the separate engraving tip is fixed to the inside: don't throw it away by mistake. If you've never done engraving before, practice on a piece of soft metal or plastic, moving the tip slower than you would for handwriting. If you're engraving something valuable, plan carefully what you're going to do. Security identification marks don't need to be complicated: if you don't want to use your initials, you could combine two or three shapes from the supplied stencil. 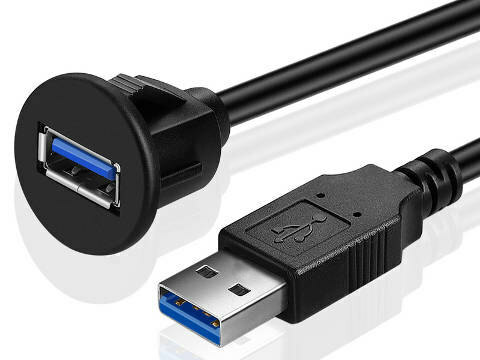 Depending on your work, there are lots of useful accessories to choose from. 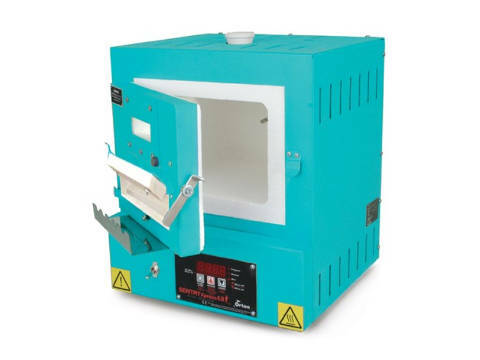 For example: kiln tables, shelves, posts, cones, glass separator, hot gloves, tongs, kiln paper, kiln wash, vermiculite, vermiculite trays, ceramic-fibre blocks, circuit breakers, fire extinguishers, hear resistant safety gloves, glare-resistant safety glasses, and kiln vents. Ceramic-fibre blocks are used to support work in your kiln, or to use as a heat-resistant surface when you take things out of the kiln. You might want to use several, side by side. 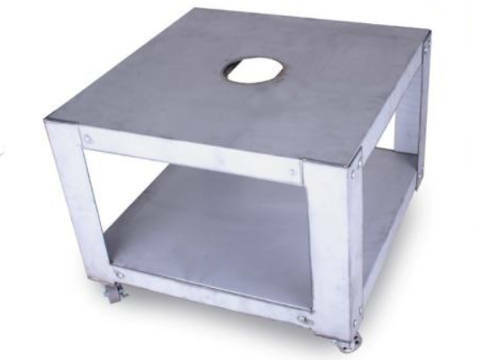 The blocks are made from light compressed ceramic fibre, and measure 150mm x 100mm x 50mm. If you work with any fibrous material, don't get the fibres on your hands or breathe them in: ideally, you should put on kiln gloves, wear a HEPA mask, use protective glasses, and wash your hands afterwards. If you do demonstrations or teach at a course venue, especially working within today's risk-assessment culture, it's vital that students are aware of the possible dangers and you provide protective equipment. Gloves, masks, and glasses are on the safety page. If you fire anything small and round, be careful that it doesn't roll off the ceramic block and break: cut a small recess on one side? However, if you fire several pieces, make sure they don't roll together, touch, and stick. Ceramic blocks and cloths don't last for ever and will eventually begin to break up. So it's a good idea to have spares, especially if your business depends on your kiln or you're running courses. Ceramic-fibre cloths, or blankets, are used to support delicate work in the kiln, either as a flat soft surface or cut into smaller pieces. The cloths are made from light ceramic wool and measure 225mm x 150mm x 25mm. If you work with any fibrous material, don't get the fibres on your hands or breathe them in: ideally, you should put on kiln gloves, wear a HEPA dust mask, use protective glasses, and wash your hands afterwards. 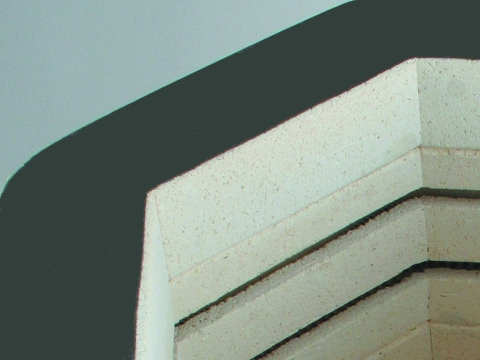 Kiln paper, often called shelf paper, consists of compressed ceramic fibres held together with a binder. It looks like normal thick paper, and can be cut to size easily with scissors. Bullseye Thinfire shelf paper, the most popular shelf paper, has been designed for smooth separation between the kiln shelf and glass, up to about 870°C. One side feels slightly smoother than the other: that's the glass side. If the paper has Bullseye logos on it: that's the shelf side. Generally, you can't re-use it after firing. 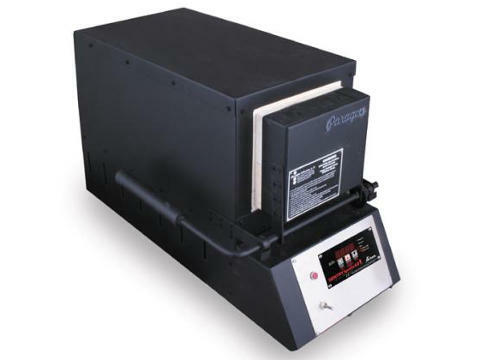 ThinFire is light and thin, so not expensive, and easy to store. It comes as single sheets, each one 520mm x 520mm square, or as a pack of four or ten. 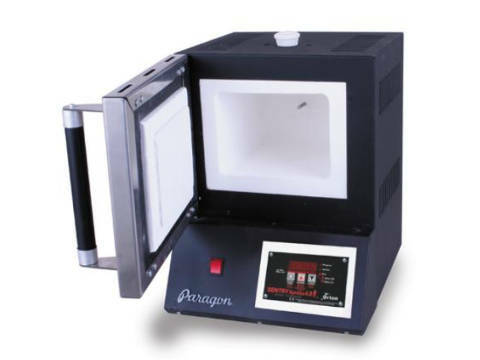 Although it's described as a low-odour paper, ventilate the room during firing as the burning binder may smell and release a little smoke. Being thin, it may curl at the edges as the glass changes shape. If this happens, put tiny bits of glass on the corners, or cut it nearly-to-size more carefully. If you work with any fibrous material, don't get the fibres on your hands or breathe them in: ideally, you should put on kiln gloves, wear a HEPA dust mask, use protective glasses, and wash your hands afterwards. 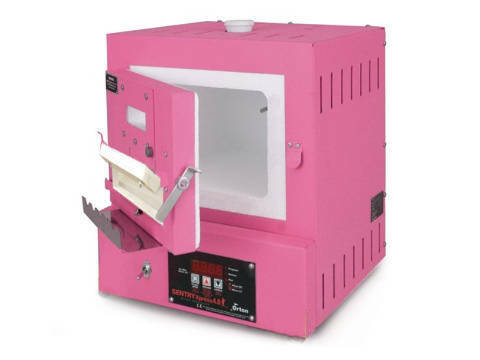 Although kiln paper is much simpler, cleaner, and quicker to use than kiln wash, it does cost more. And it won't protect the shelf against ceramic glazes. 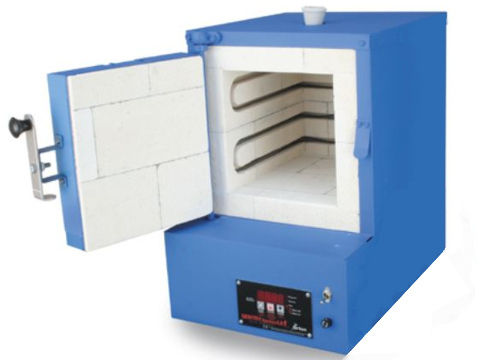 Kiln furniture is the generic name for the supports that go inside your kiln, typically: hard and soft shelves, shelf posts, ceramic blocks, and ceramic-fibre cloths. 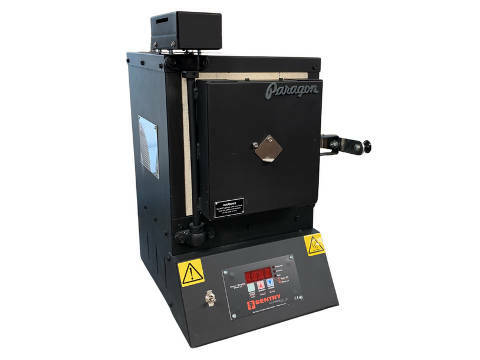 They protect the floor of the firing chamber, support your work, ensure even heating, and allow you to stack up layers of work to be fired at the same time. Never fire anything on the exposed floor of the kiln. If moulten metal, glass, or enamel, sticks to the ceramic fibre or firebrick, it will be very difficult to remove without causing damage. Shelves, and shelf paper, prevent this happening. 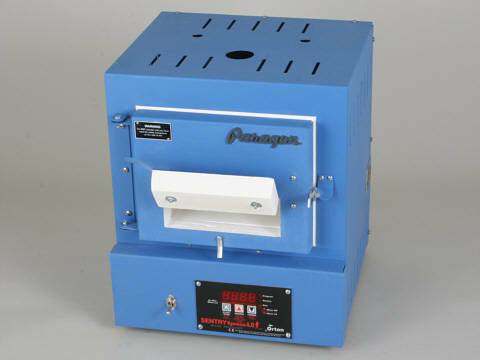 The Mini-Kiln has a light ceramic-fibre shelf for metal clays, such as Art Clay and PMC. Unless you melt the silver, your work won't stick. 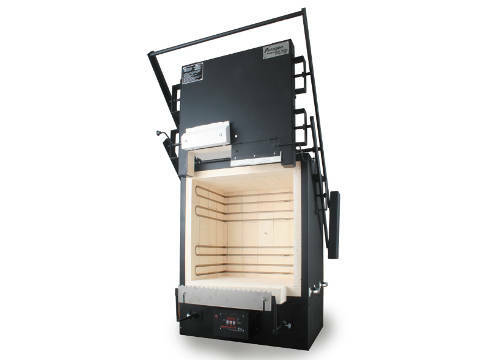 Nearly every other kiln has a recommended furniture kit, included in the price, consisting of the appropriate cordierite shelves and posts. Cordierite is a magnesium aluminium silicate that resists thermal distortion and fracture. 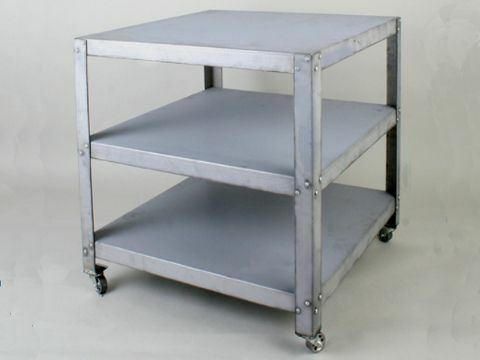 A thick heavy shelf, lifted up on small posts, heats and cools evenly: particularly important for glass work. Cordierite is brittle: if you drop the shelf, it'll break. It's a good idea to have spare shelves, especially if your business depends on your kiln or you're running courses. You can buy extra shelf kits in the on-line shop. Depending on the sizes of your pieces and the number of pieces you want to fire, three shelves can be stacked to make better use of your time: so you may want more than one furniture kit. Remember that glass needs radiant heat and will fuse, sag, or slump better on one shelf than between stacked shelves. For dichroics, enamelling, and glass fusing, put kiln paper on the shelf to stop the glass sticking: it's simpler and cleaner to use than glass separator. Bullseye Thinfire shelf paper, probably the most popular kiln paper, ensures easy separation between your glass and the kiln shelf. One side feels slightly smoother than the other: that's the glass side. You can buy shelf paper in the on-line shop. Most furniture kits include 25mm x 25mm x 12mm posts. They can be used flat to lift the shelf 12mm or, on their edges, to lift the shelf 25mm. 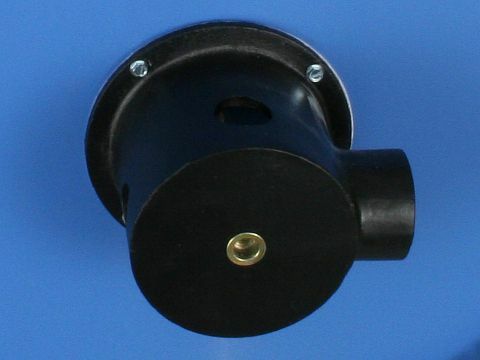 Other heights are available: 50mm, 75mm, 100mm, and 150mm. If you take out a hot shelf you'll need to put it somewhere safe: on a tray of vermiculite, a ceramic fibre block, or some other heat-resistant surface. A kitchen tile is not thick enough: the heat will go through and might burn the work surface. If a glaze or hot glass sticks to the kiln shelf, it's very difficult to remove without pulling away part of the shelf surface. 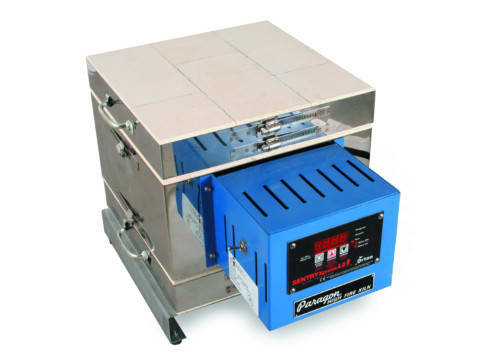 To protect the shelf and make separation easy, you need to brush on a coat of glass separator. 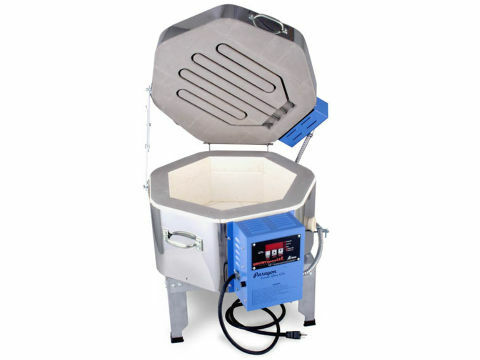 Glass separator, often called kiln wash, consists of finely ground minerals that don't fuse at normal firing temperatures. It prevents glass and glazes sticking to the shelf. It's mixed with water and painted on using a soft-bristle haik brush. 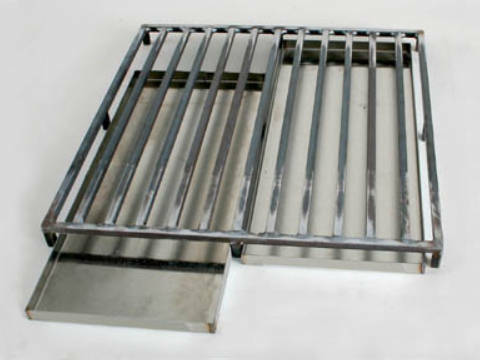 Usually, several thin coats are applied in different directions. A few tips: don't use glass separator on ceramic fibre; don't get the powder on your hands or breathe it in; stir the mixture every time you dip the brush in; and store it in a glass jar. 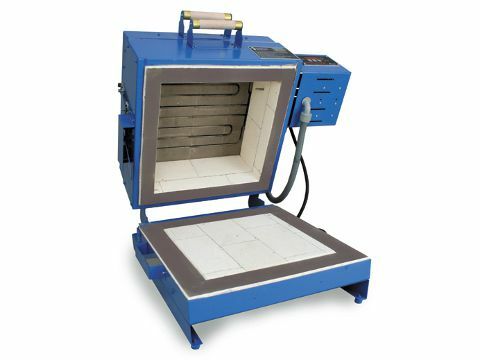 You need to dry the shelf before firing, or the water will turn to steam and the sudden pressure increase may crack or shatter the shelf. It's unlikely, but it could explode, so wear safety glasses when you open your kiln. You can let it dry naturally in a warm place overnight, put it on a central heating radiator, or stand it on kiln posts and heat it, with the kiln vent open, at 150°C for 30 minutes. 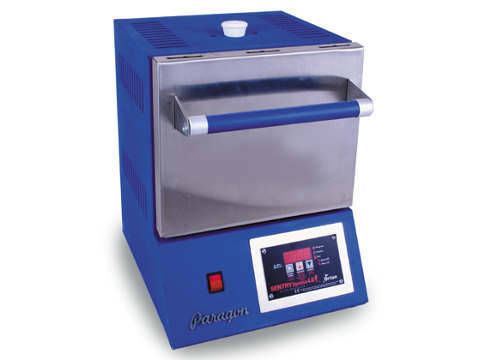 Generally, glass separator will last for several firings: the lower the temperature, the longer it lasts. However, most users re-coat before firing. Before applying another layer, smooth the shelf surface with some wet+dry paper. For most small pieces, kiln paper is much easier to use. 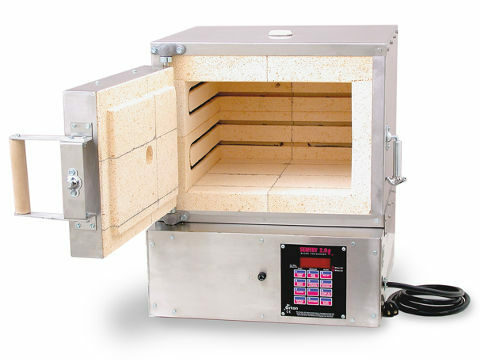 The Electric Kilns Digital Pyrometer displays the kiln temperature accurately, up to 1095°C. 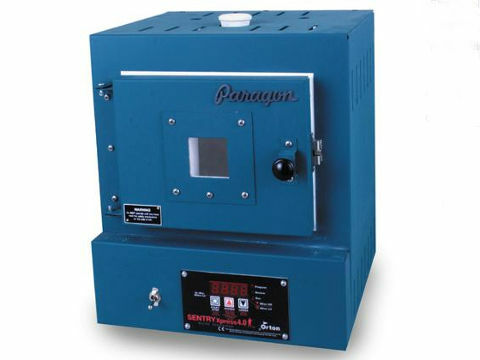 It measures 70mm x 108mm x 25mm, weighs 155gms, and has a 1.5m plug-in wire ending in a K-Type thermocouple. 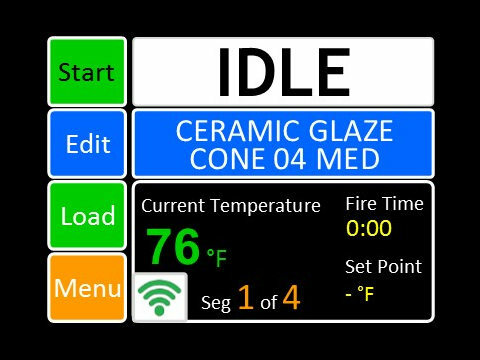 The FireFly-S manual comes with this digital pyrometer, making it easy to experiment with copper enameling, control the cooling rate of difficult glazes, or monitor glass fusing and moulding. 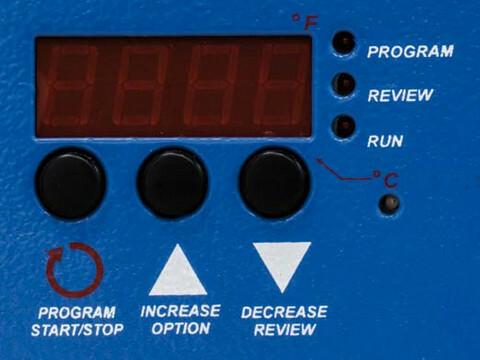 The Caldera-S manual comes with an analogue panel meter, so a digital pyrometer would be a useful accessory. 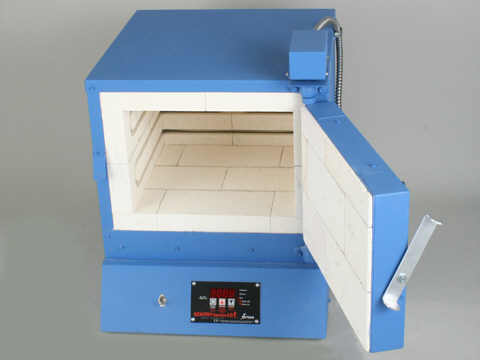 In fact, if you want to experiment with any kiln you might find a pyrometer helpful. The liquid crystal display is easy to read, even in daylight. 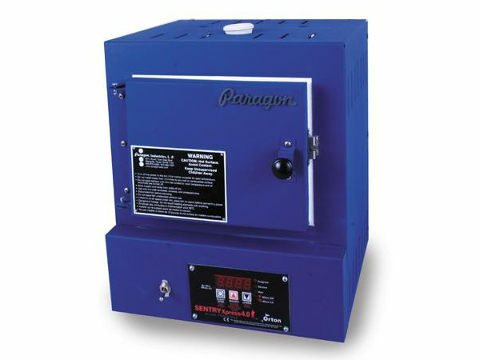 The 9V battery should last for 150-200 hours of continuous use. There's a low-battery indicator. 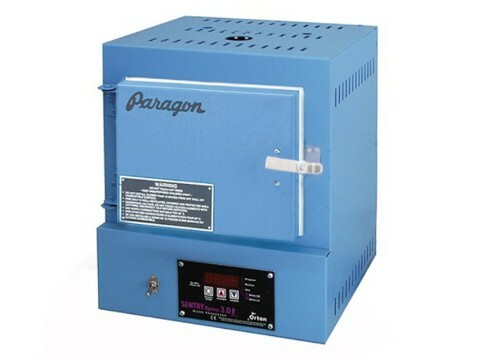 The container for the Paragon SC-2 measures 162mm x 176mm x 100mm, and holds one litre of charcoal. 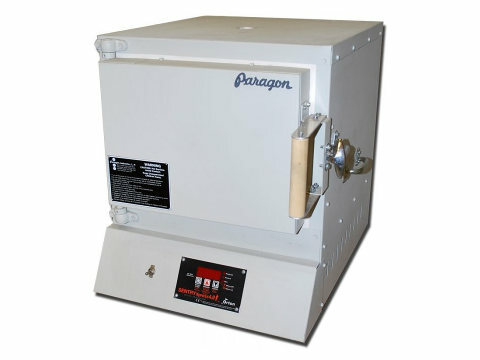 The container for the Paragon E-12A measures 162mm x 265mm x 152mm, and holds three litres of charcoal. 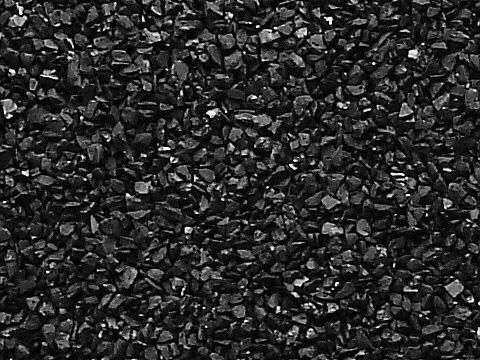 There are two popular types of charcoal: coal and coconut. They're both granular activated carbons: charcoal made from coconut shells produces a natural bronze colour, and charcoal made from coal produces a colourful range of patinas. Vermiculite is used to support delicate work in your kiln or, spread in a tray, to act as a soft heat-resistant surface when you take things out of the kiln. It'll last a long time, although it will eventually break up. The vermiculite in the photo is expanded hydrated phlogopite mica: the particles are very light, non-toxic, and won't fuse until at least 1200°C, about 2200°F. If you use a tray of vermiculite, keep it covered when it's not in use, to prevent stray materials mixing and getting stuck to your work. Also, vermiculite particles are very light and can jump onto your clothes if your movement generates static electricity, or blow everywhere if there's a window open. It's not easy to find vermiculite in the high street. If you do, it might have plant food or polystyrene particles mixed in: so be careful. The Kitiki vermiculite comes in a white plastic screw-top pot for convenience and safety: not a plastic bag, and not a pot that can't be closed properly once the seal has been broken. Although it's filled to the brim during packing, particles settle and it may not look quite full when you open it. It's plainly much easier to fill a pot with a fixed volume than to measure out a fixed weight every time. 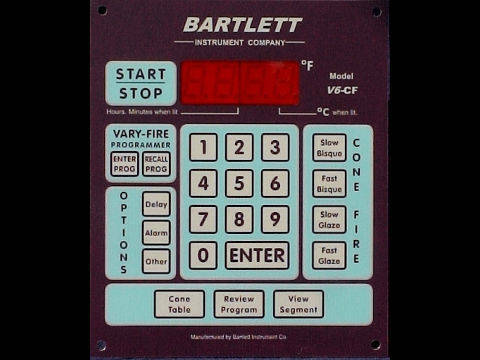 Although most kilns come with programmers, it's still very easy to walk off and forget about the firing and its end-time. 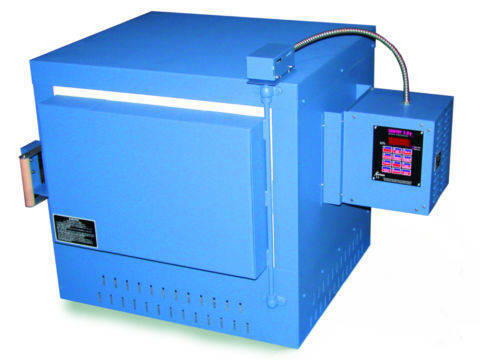 A digital kiln-timer is something you take with you to remind you that time's up. 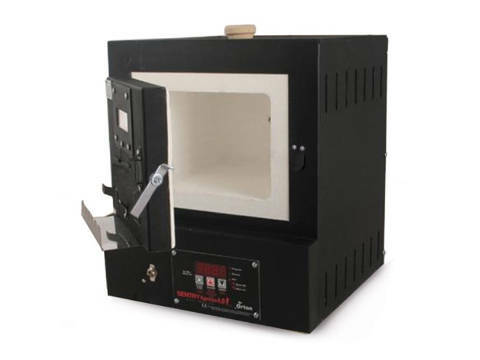 It's particularly useful when using the Kitiki Mini-Kiln or any similar kiln which doesn't turn itself off. The Kitiki Digital Timer counts up to 99 minutes 59 seconds. 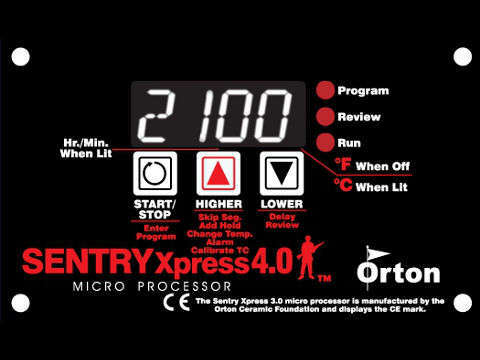 It's easy to use: just set the minutes and seconds, and start the timer. 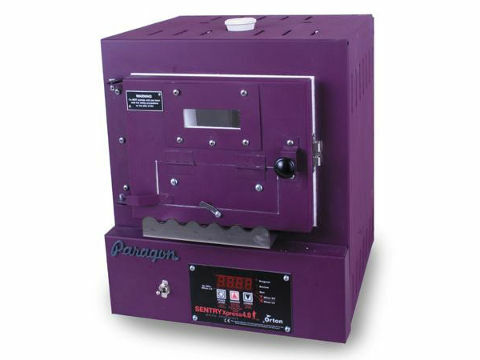 After the elapsed interval, the timer beeps for 30 seconds, although it can be turned off at any time. It has an easy-to-read four-digit liquid-crystal display. The slim silver and black case measures 86mm x 47mm x 16mm, and has a no-scratch magnet on the back so it can be attached to a fridge or other equipment. It comes with a small battery which should last for several years. 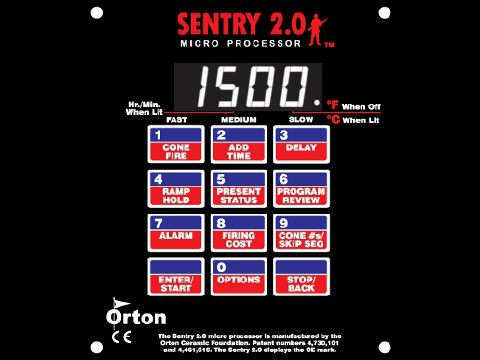 To maximise the battery life, the timer turns off after the alarm has sounded, although it will remember the setting for next time. 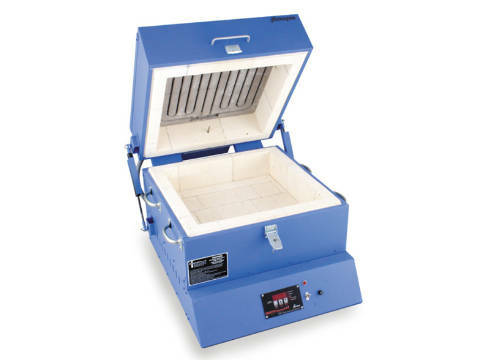 If you want to service or repair your own kiln, you'll need a few electrical tools such as a mains tester screwdriver, a multimeter, and a soldering iron. They're all very useful at home or at work for checking and mending equipment. 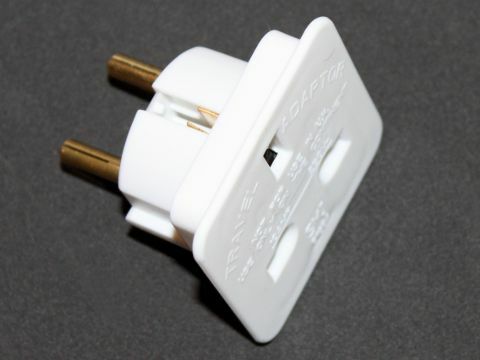 However, don't forget that mains electrical work is potentially dangerous. The Cherry Heaven USB Stereo Loudspeakers. The Cherry Heaven USB Stereo Loudspeakers don't need batteries, installing, or setting up: they're powered by the computer's USB socket and driven by the stereo-out socket. You can buy them in the on-line shop. However, the photo is of a typical pair of speakers and the ones in stock might not look exactly the same. 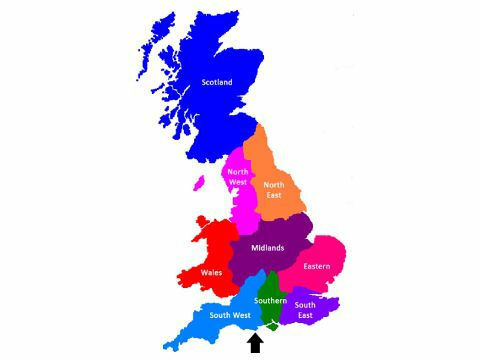 External loudspeakers will improve your enjoyment of the BBC iPlayer, DVD movies, games, MP3 tracks, CD music, net-phone applications, on-line movies, video camera movies, iPlayer programmes, and youtube. Mains voltage is AC. 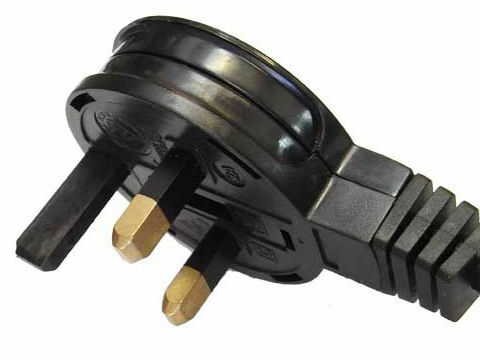 The mains tester screwdriver detects the mains, and allows you to follow it though the cable, the fuse, the transformer, the relay, and the elements. The mains tester screwdriver contains a current-limiting resistor and a small neon bulb. When the screwdriver tip touches AC mains and you touch the screwdriver's end cap, a tiny current earths through your body and the bulb lights. It's rated for 220V-250V, has a 60mm blade, and a pocket clip. It's also just right for wiring plugs, fitting sockets, connecting lights, and wiring dimmers. The blade is particularly hard and durable. A multimeter lets you test electrical equipment. 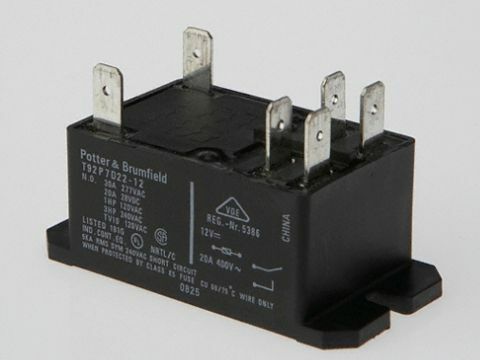 Using the two leads, you can typically measure continuity, DC voltage, AC voltage, DC current, AC current, and resistance. Most multimeters are broadly the same. You usually set the range using a central dial. The most important thing is not to let the leads touch anything other than the contact points you're testing. 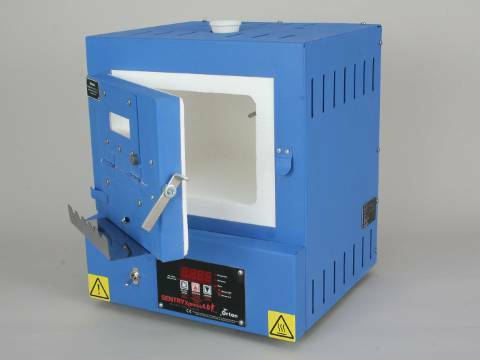 The Kitiki MultiMeter is ideal for checking and repairing your kiln. 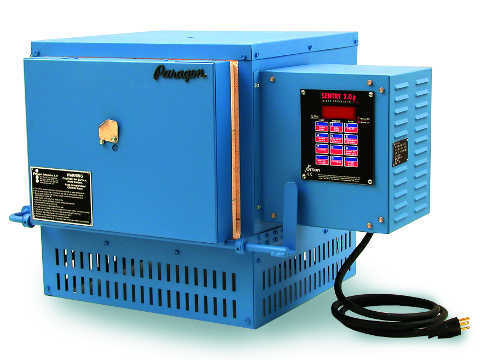 You can check the mains voltage, the plug fuse, the kiln fuse, the transfomer, the relay, and the elements. A multimeter is a useful tool. You can test batteries, bulbs, cables, christmas lights, doorbells, fuses, power adapters, relays, switches, and wires, as well check most domestic electrical equipment. Some multimeters can check diodes and transistors, measure temperature, measure frequency, and hold the displayed result after you've taken the leads off. The photo is of a typical multimeter. The ones in stock may not be quite the same. 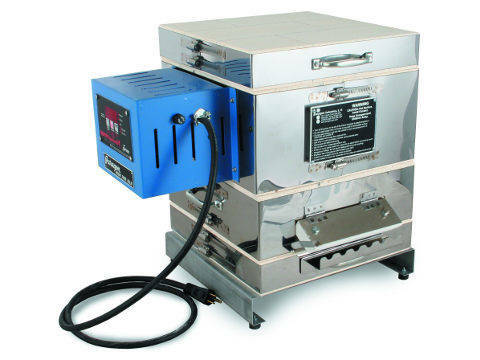 Soldering is a convenient way of joining metals. The Kitiki soldering iron is rated at 230V 60W and can also be used for general electrical and electronic work. It comes with enough solder to get you started. Howeverr, it might not be the colour shown. The Kitiki Soldering Iron is a multi-purpose soldering iron. Having experimented, there's a wide choice of soldering irons and solders, depending on what you want to do. Cutters and pliers are some of the most useful tools when you make jewellery, work with electronic parts, build dolls' furniture, or enjoy model engineering. These Kitiki cutters and pliers successfully combine materials, size, precision, alignment, hardness, sharpness, and ergonomics. They're about 120mm long, easy to use, comfortable to hold, and beautifully made. You'll enjoy using good tools rather than continually improvising. They'll help you manage a creative and efficient work environment. And they'll last a long time. The pliers and cutters shown in the photo above are the six most popular. Although, in theory, the pliers partly share their uses, in practice, one is just easier to use for one task, and one for another. Kitiki cutters are used to cut wire, strips, chains, and clasp links. The cutting edges are hardened and align perfectly, and the cut is slightly oblique or vee-shaped. 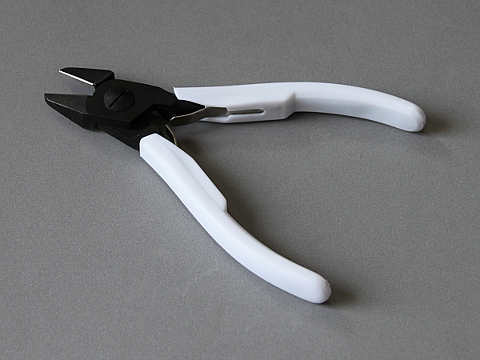 Kitiki flush cutters are used to cut wire, strips, chains, and clasp links. The cutting edges are hardened and align perfectly, and the cut is nearly straight. Kitiki flat-nose pliers have tapered rectanglular jaws, and are used to position and adjust jewellery findings, squeeze and close links, straighten wire, bend wire and strips at angles, and shape paper-type metal clays. Kitiki pointed-nose pliers have tapered semi-circular jaws, and are used to shape jewellery findings, re-shape links, and bend wire and strips into curves, circles, and ovals. Kitiki bent-nose pliers sometimes called pointed-nose, have tapered semi-circular jaws, and are used to shape jewellery findings, re-shape links, and bend wire and strips into curves, circles, and ovals. 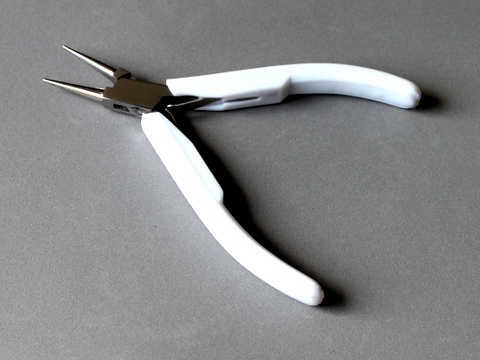 Kitiki round-nose pliers have tapered circular jaws, and are used to position and adjust jewellery findings, squeeze and close links, bend wire and strips at angles, and shape paper-type metal clays. Before dismissing the word ergonomic, remember that the palm of your hand has around 1700 nerve endings and, every time you hold a hand tool, 42 muscles are put to work. The continual strain of using an awkward tool makes delicate work less accurate and more difficult, and can lead to strain injury or numbness. 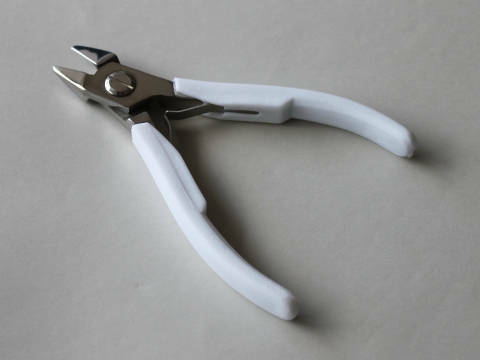 Very few shops sell high quality pliers and cutters for delicate work: most pliers and cutters are designed to undo rusted nuts and cut fence wire. 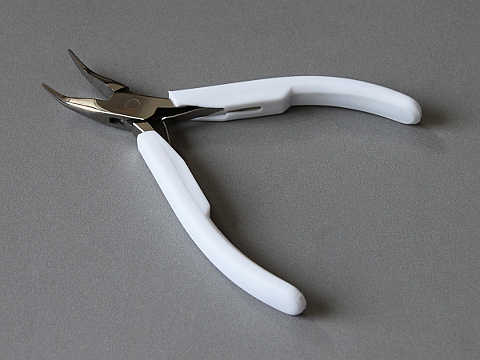 Economy pliers and cutters usually use regular mild steel, inadequately hardened, and laquered to hide the poor finish. The laquer will soon wear away and the metal will rust or stain. They're often rebranded, repackaged, and repriced, with different coloured handles: so it's hard to know what you're getting. Economy special-offer boxed sets appear to be good value. However, once opened and used, the poor quality will soon become apparent. Buying like this is unpredictable and replacing one of the set, or buying a different shape, is usually impossible as the brand will have disappeared. Poorly machined, aligned, and hardened cutting edges will cut at an angle or unevenly, and will soon go blunt or get notched. Poorly machined and aligned jaws will make it diificult to hold small shapes reliably. Jaws might have high spots, serrations, or roughly finished edges that will mark soft metals such as silver, copper, and gold. Jewellery pliers have smooth jaws, and are precision engineered for careful work. If they're uncomfortable to hold, the handles can nip your skin whilst squeezing, and the sprung release-action might need too much continual pressure: tiring during precision work. Tight hinges won't release unless you use both hands. Some jewellery and electronic pliers have very short handles and are quite difficult for an adult to hold. Work soon becomes tiring: that's when you make mistakes. 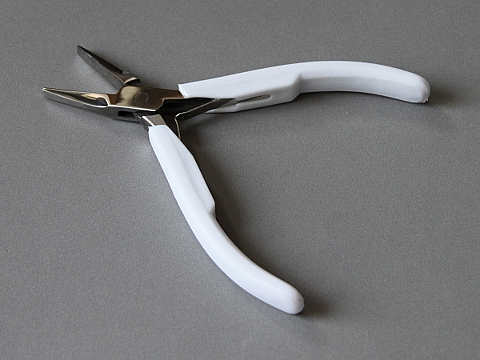 Scissor-style hinges, rather than box-style hinges, will gradually loosen and twist as you bend and cut, making delicate work less accurate and more difficult. Jewellery cutters are not designed to cut spring steel or stainless steel wire or strips. 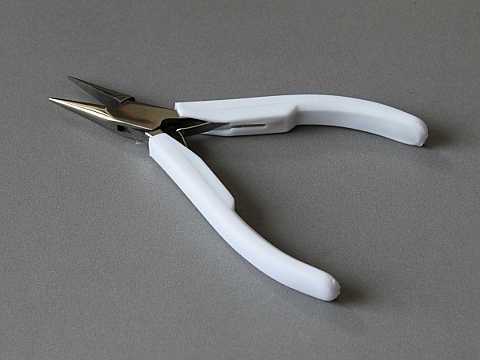 If you want to work with these, or other hard materials, you need special snips: mail or call. The internet is packed full with inaccuracies: accidental or intentional. There are unsubstantiated claims that whatever is being sold is the best, the newest, or the cheapest, and it's being sold by the largest dealer or the premier distributor. So, why buy Kitiki cutters and pliers from Cherry Heaven? We used to sell Swedish-made Lindstrom cutters and pliers. They were generally agreed to be the best you could buy, and Lindstrom promoted the box-joint designs as the best solution. However, they were very expensive, varying in price from about £40 to £75 depending where you shopped. When the factory moved to Spain, many people felt that the quality wasn't as good, especially as they now used the scissor-joint. 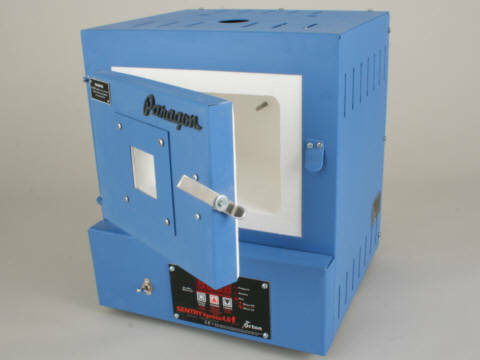 So, we had our own made in the same factory that makes our magnetic polishers, small kilns, and other tools. They cost about five or six times less. Although it's very unlikely that you'll have an accident, it's important to take basic safety precautions when working with liquids, powders, resins, sharp tools, and hot kilns: especially if you do demonstrations or run classes. 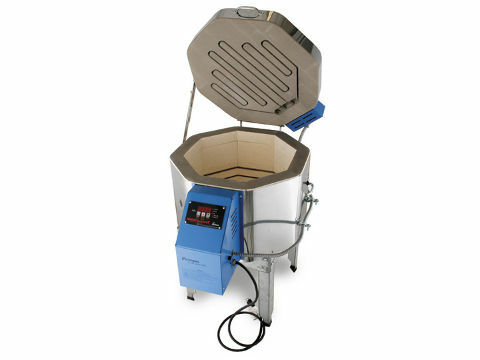 And remember, never get careless: kilns are very hot and connected to the mains. If you're working with kilns, you need to be aware of the risks, however slight. 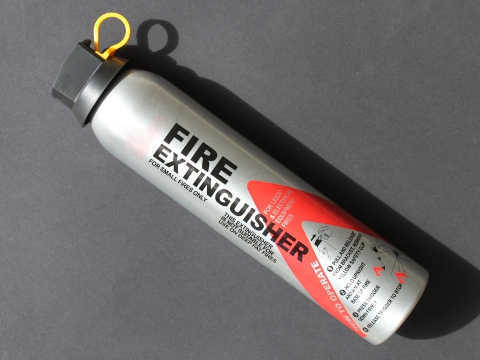 It's important to have a fire extinguisher, nearby. Read the instructions as soon as you unpack it, buy a basic first aid kit, learn how to treat burns, and fit a smoke alarm. The fire extinguisher is rated for electrical fires. It contains sodium bicarbonate, a dry chemical that's non-toxic, helps prevent re-ignition, and doesn't soak soft furnishings. 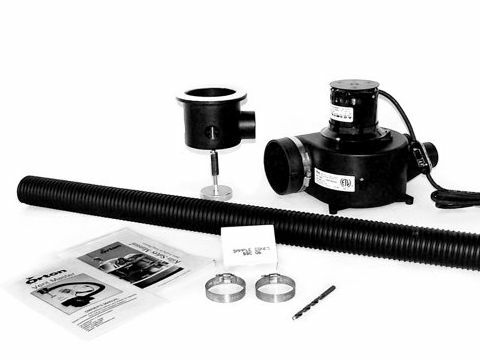 It comes with a wall bracket so it can be mounted conveniently. If you look at hot materials in a kiln, through a peephole or by opening the bead door, door, or lid, it's important to wear tinted glasses. The Kitiki glare-resistant glasses are coated to filter the harmful infra-red and ultra-violet light emitted by kilns. Keep them by your kiln and get used to putting them on every time. The glare-resistant glasses have amber lenses, fit over prescription glasses, and can be cleaned with warm soapy water. They have non-slip nose pads, weigh just 26gms, and come with a micro-fibre pouch. They're virtually identical to sun glasses that retail at around £70, so you can wear them on the beach. 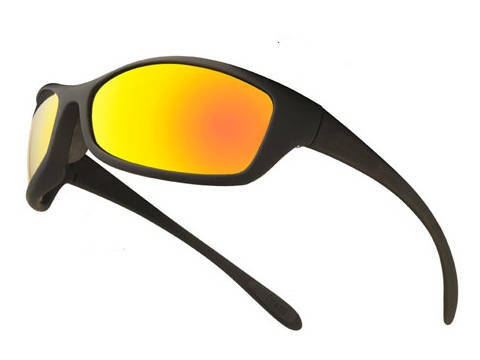 They exceed the EN 166 Impact Resistance and EN 172 Full Solar and UV standards which define the design, construction, testing, and use of eye protection devices. Although the lenses are made from tough impact-resistant polycarbonate plastic and the frame from nylon, the glasses aren't unbreakable and the lenses aren't scratch proof: so look after them. 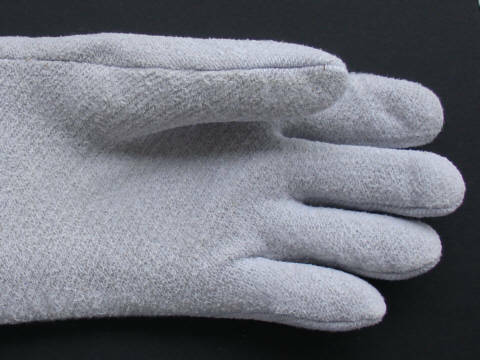 Heat-resistant gloves are made from a special non-woven polyester with a nitrile outer coating and a felt inner. 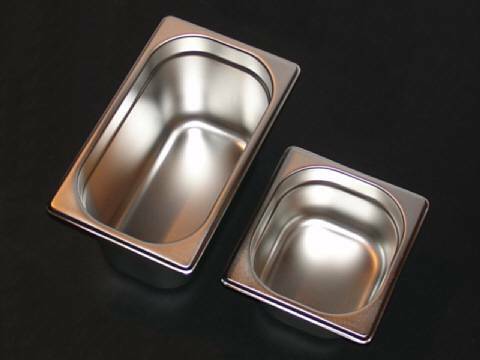 They're rated to 180°C, so are ideal for moving kilns and lifting out shelves or hot work without waiting until everything has cooled completely. They're not fire-proof. The gloves are one size but, like oven gloves, are easy to work with. Wash them at 60°C and dry them in a warm place: don't use dry-cleaning solvents. The Kitiki protective glasses have clear lenses, will fit over regular glasses, and can be cleaned with warm soapy water. They conform to the ANSI Z87.1-2003 standard which defines the design, construction, testing, and use of eye protection devices, including impact and penetration resistance. Whichever material you're working with, the shaping stages are vital if you want to achieve a high-quality finish. Typically, you would use fine abrasive paper, drills, files, mandrels, and ring guages. To look at some of the shaping accessories and tools, scroll down and make a few notes. When you've finished, and looked at the other sections, use the main-menu link to return to the other pages. If you're working at home, in a studio, or for a business, you need a clean work area set aside for Art Clay. The simplest solution is to use easy-to-clean clear acrylic work sheets, which you can move around. In addition, you'll probably need some of the following: a teflon non-stick sheet, four pieces of non-stick paper, a clear acrylic roller, three different pairs of clear acrylic thickness guides, a clear acrylic rolling block, a black rubber work block, and a black acrylic finishing sheet. You can't buy acrylic tools or rubber blocks in the high street: we cut and finish them at Kitiki. They're cut on an industrial laser bed or a high speed saw table, so are not easy to cut or saw cleanly at home without special equipment. The Kitiki Knife set comprises four knives with different retractable locking blades. Don't use a regular DIY knife: it's too clunky for delicate work; the blade will be too big and the clay will stick to it; and it won't be sharp enough so the clay may tear leaving a ragged edge. Art Clay and other metal clays, before they're dried, cut easily: you can divide up the clay, cut out shapes, trim off excess, cut the paper type, and generally refine your work. All jewellers use a metal ring-guage to make sure that they sell you a ring which isn't tight or doesn't fall off. 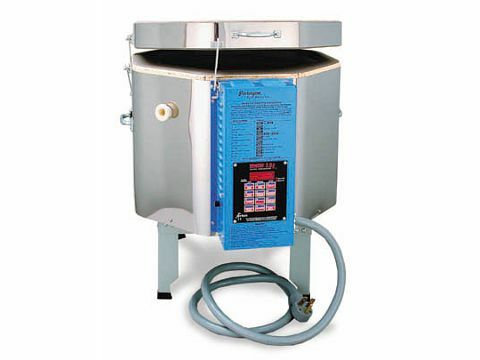 Typically, they use a 58-piece metal ring-guide multisizer with the UK sizes A to Z, A- to Z-, and Z1 to Z6. It's invaluable if you make rings, as you can label them correctly for sale. If you buy rings mail-order or on line, it's much better to buy the size that you know is your size, rather than guess and return. As with everything, you can economise: you can make a ring-sizer out of sellotaped paper or a bit of wire. However, there's no substitute for a metal ring sizer because it feels like a real ring and you can test how easy it is to put on and get off. Your ring size will change slightly with the time of day, the year, your health, your diet, and the temperature. If you're buying a wide band as opposed to a thin one, add about a 1/4 to 1/2 size. If you're right-handed, then the corresponding finger on your left hand is generally about a 1/2 size smaller or larger. A good jeweller can change the size of a ring by cutting the band and removing or adding a piece. 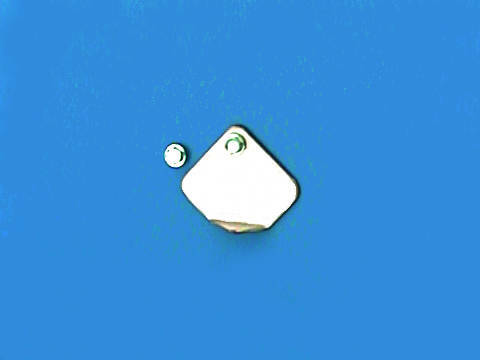 However, the ring has to be heated which often means that some stones have to be removed and put back. Some are almost impossible to remove and many stones can't be heated. If you have a pattern or stones all around the ring, you might lose some detail and symmetry. So, buy the right size to start with. The Kitiki double-ended scriber is a precision tool with hardened tips, so should last a long time. The tips are accurately ground, so much better than working with cocktail sticks and matches. When working with clay, you can use a scriber to: make a tiny mark for a drill, a cut, or a position; clean up delicate shapes; or make a decorative pattern. The hardened tips will also mark plastics, silver, gold, copper and most other metals. The Kitiki file set comprises six different needle-file shapes: flat, tapered, round, half-round, square, and triangular. They're about 140mm long, easy to use, and comfortable to hold. They're ideal for modelling the surfaces and refining intricate shapes. Needle files are used by engineers, craftworkers, jewellers, metalsmiths, and modelmakers, to shape surfaces, clean up edges, and refine details. Art Clay, dried but not fired, files easily. Art Clay, fired, files like solid silver. Engineering files are designed to rough-shape: they're often called first-cut. Jewellery files, often called second-cut, are about half the size, have much finer teeth, and are precision engineered for delicate work. Generally, Asian imports use regular steel, inadequately hardened. They're often rebranded, repackaged, and repriced: so it's hard to know what you're getting. Tests on bright metal show that the file surfaces are uneven, with irregular teeth. The files leave scratches on softer materials, such as silver, gold, and copper, which may be hard to remove. If you look closely at the ends, the files look as though they've just been snapped off a long strip: the handle tip is sharp to hold, so it will cut your palm, and the file tip is unfinished, making detail-work difficult. File teeth are designed to cut on the push. Use long strokes as it's easier to smooth out surfaces. If you're filing dried Art Clay, tap the file on your hand to stop the clay powder clogging the teeth. 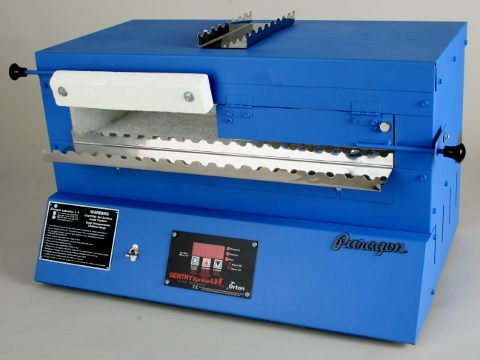 Conventional needle files are not designed to file spring steel or stainless steel wire or strips. If you want to work with these, or other hard materials, you probably need to use a rotary grinding disc. Wooden mandrels are used to support your metal-clay ring whilst you work on it. Remember that Art Clay shrinks slightly on firing, so make the ring proportionally oversize. The Kitiki wooden mandrels are imported from Japan and are made from smooth tapered dowel. The two mandrels are different sizes, and 375mm long, so easy to work with, wherever your ring is positioned. Wrap a Post-It note on the mandrel before making your ring to stop the clay sticking to the wood. Always hold the mandrel with the thinner end at the top, so your ring doesn't fall off. When you clean the mandrel, use a wet cloth, but don't soak the wood. Some mandrels come on a stand. However, the stand is often narrow and overbalances easily if the work table is knocked: probably denting fresh clay or cracking dried clay. The Kitiki tweezers have a built-in magnifier to check that, for example, gemstones are aligned properly. They're 84mm long, so an easy size to work with. Without a magnifier, even if you have good eyesight, it's easy to rush because the glue is drying, and notice later that the stone is at an angle or off-centre. Kitiki Triblets: Plain And Sized. Metal triblets are used to make rings, and change the size and shape of finished rings usually by tapping the ring with a nylon hammer. They're tapered to help you make or change the ring size progressively. 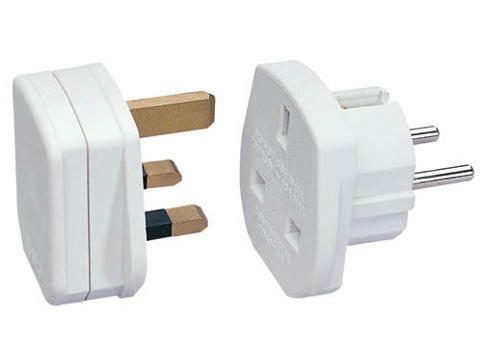 There are two types: one plain and one with standard UK A-Z 1-6 sizes. The Kitiki triblets are made for us from polished chrome-steel: they look luxurious and won't gradually stain and discolour like the usual plain-steel ones. They're 332mm long, so easy to work with, wherever your ring is positioned. Always hold the triblet with the thinner end at the top, so your ring doesn't fall off. If you've never used a triblet before, it'll feel strange hammering the ring you've just made. So, take it easy. Always use a plastic, nylon, or hide hammer to avoid making little flat areas where you tap. When you clean the triblet, use a wet cloth, and dry it straight away. A nylon-headed hammer is useful for straightening wires and strips, and tapping rings on a mandrell to make them more circular. It's not easy to find small jeweller's nylon hammers in the high street: most are too heavy and too large. The Kitiki hammers are imported from Japan and are just the right size. Always think carefully before banging anything, and start gently. There's a danger that, with a hammer in your hand, everything looks like a nail. Drill bits are either turned using a hand-held pin vice, hand-held drill, low-voltage mini-drill, or mains drill. Pin vices are best for the small size bits, particulary for dried Art Clay and other soft-ish materials. Hand drills wobble too much and the drill bits will probably break. A mini-drill is better for harder materials. A mains drill is just too heavy for fine work: and the bit can easily skid off the surface and leave a scratch. It's not easy to find small-size drill bits in the high street. Those I did find weren't very sharp and seemed to break easily. The cheap ones had a slightly off-centre tip so were hard to get started on smooth metals. The Kitiki drill bits have been tried and tested, so come with a recommendation. One of the most useful mini-drill accessories is a rotary wire brush. 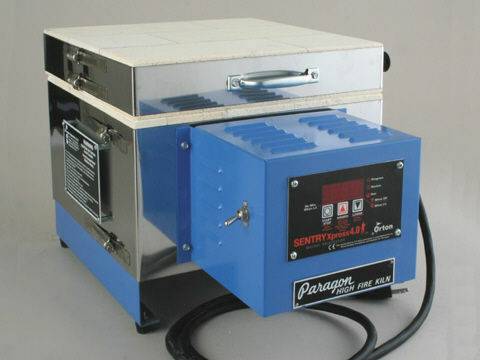 It's the quickest easiest tool for cleaning up dried Art Clay and getting a good even finish on fired Art Clay. However, like all the other abrasives, it doesn't do everything. Cherry Heaven tested a selection of mini-dills, imported from India, China, Taiwan, Japan, Germany, and the USA. They all included a selection of rotary accessories and most came in a case. Many had similar problems: the chuck bearings were loose; the drills were uncomfortable to hold; step speed control was second best to continuous; the power cable plug fell out in use; rechargeables often seemed to go flat quickly; and the accessories were poor quality, making detail and finishing work less easy and less safe as some flew apart. The best-known make, and its accessories, were inexplicably expensive. Any DIY drill has a number of disadvantages: the chuck will not hold very small drill bits centrally; it's hard to hold it still, so the clay will probably crack; it's too powerful and will cut away too much too quickly. The chuck jaws on a DIY power drill actually have small flats on their inside edges, so they won't grip small drills. Also, the weight of the drill makes it difficult to start accurately and then keep steady: the bits can snap, possibly still in your work. Most mini-drills come with a selection of rotary accessories, so you probably won't need to buy any more for a while, unless you need replacements, run a full-time workshop, or obsessively like to collect. Abrasive discs come in different grits and are cheap to buy. It's not worth cutting your own discs and blunting your knife blade, especially as the drill will vibrate if they're even slightly irregular. Polishing pads are made from a close-weave felt. If you want to cut your own, a thinner or looser felt will soon come off the spindle. 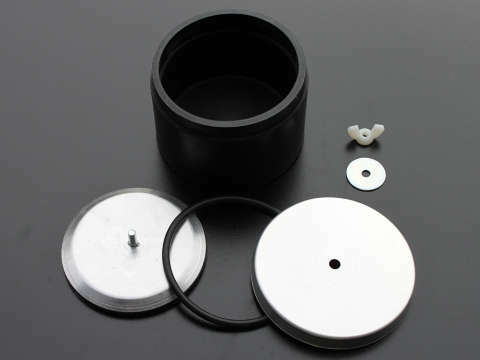 The international standard size is 21mm in diameter. And, with all abrasive discs, don't press too hard, particularly with the edge, or you'll make a crescent-shaped groove. Remember with Art Clay that most of the shaping is done before firing, whilst it's still easy to work with. If you're working with drills and rotary accessories, you need to be aware of the risks, however slight. It's unlikely, but ginding grit, brush wire, drilling scraps, and polish can fly off. Given a chance, they head straight for your face, so it's important to wear safety glasses: you've only got one pair of eyes. The Kitiki Drill Kit 1 consists of a low-voltage drill, a mains adapter, chuck collets, abrasive discs, grinding wheels, grinding tips, rotary cutters, brushes, engraving tips, polishing pads, and small-size drill bits. Accessories, Materials, Tools, Tumblers, And Polishers.